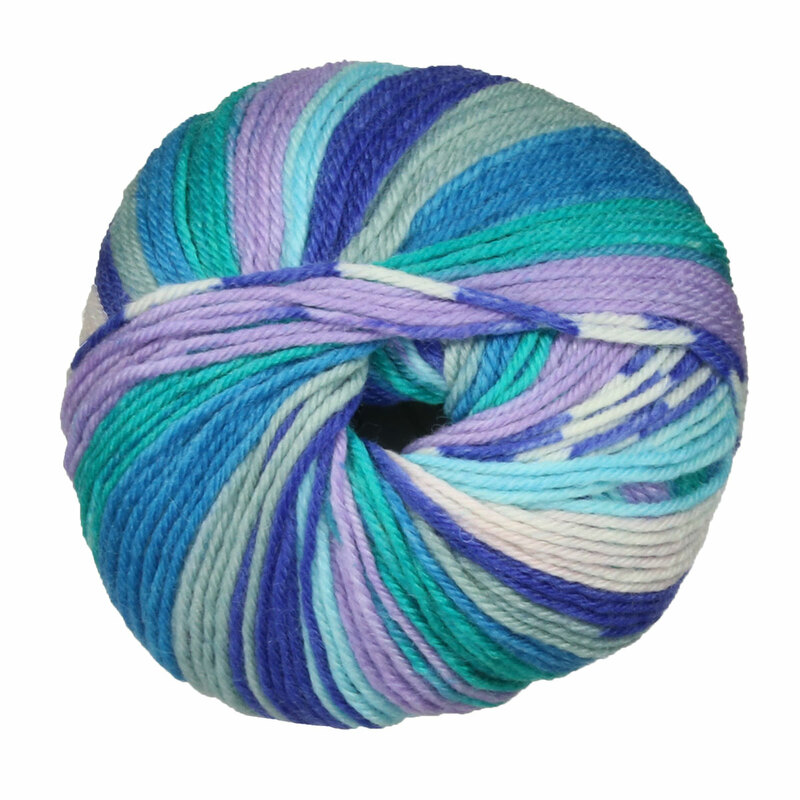 KnitCol from Adriafil takes the hassle out of knitting complex colorwork! This machine washable DK weight yarn has been precision-dyed to give your knitting a real jacquard effect. 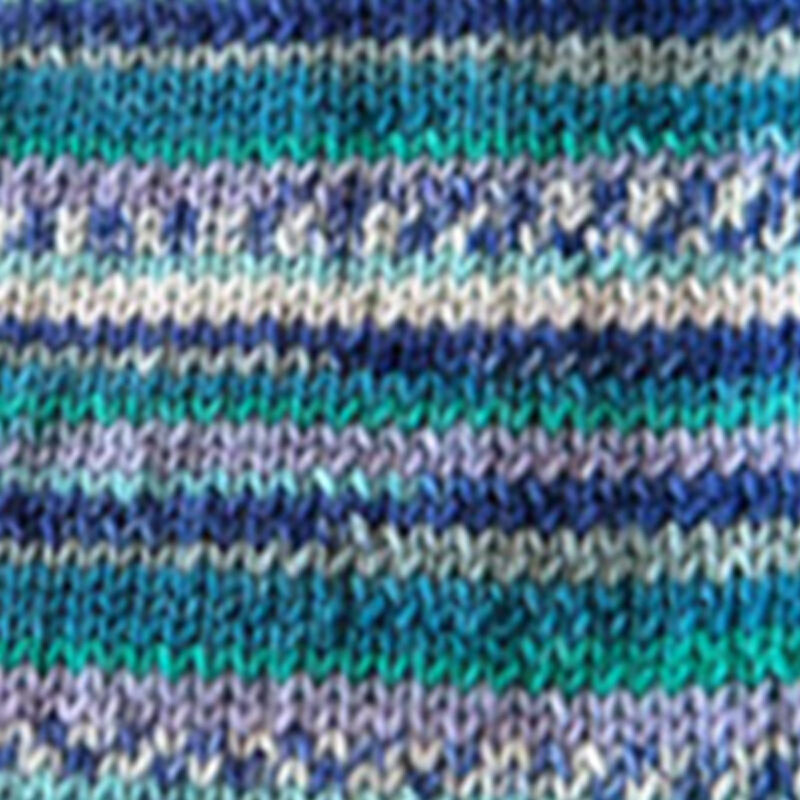 Working in simple stockinette, you will get an stunning 8-color pattern in no time! This self-patterning yarn is perfect for kid apparel, accessories and more! Please be aware that the machine-dyed patterning works best for smaller, child-sized garments and accessories. Larger adult-sized sweaters or home decor items such as blankets may offset the pattern and will not get the jacquard effect. Rowan Baby Merino Silk DK Yarn and Sirdar Snuggly 100% Cotton Yarn are both similar yarns: machine wash, dk (21-24 sts/4 in), 5.5 sts / inch, 50 gram, and on size 6 US needles. You may enjoy taking a look at the Adriafil KnitCol Baby Cardigan, Adriafil KnitCol Eyelet Cowl, and Adriafil KnitCol Seamless Baby Cardigan kits all using Adriafil KnitCol Yarn. Hopefully our suggested project ideas for Adriafil KnitCol Yarn can help you come up with your next exciting new project idea!